I just love a good Photoshop stick figure piece of art work. While this image appears to be used time and again in reference to the Ken Hamidi beating from last month, there are just so many different times when this image would be appropriate like here, and here, and here, that I have been unable to track down the origin. 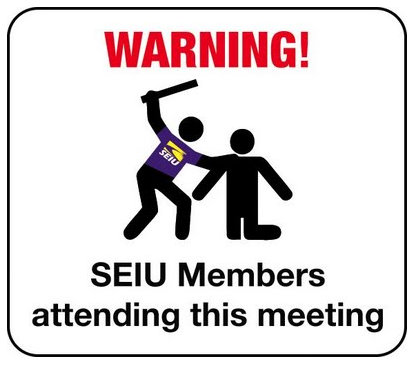 Bottom line: If you haven’t been smacked around enough recently by a sputtering economy and unemployment, attend an SEIU meeting. Image courtesy of who the h*ll knows.